Ben & Jerry’s invited two organizers from Occupy Wall Street to come to Vermont to speak in a public forum with Ben & Jerry’s executives on February 9, 2012. Participants in Occupy Vermont-Burlington were also present. 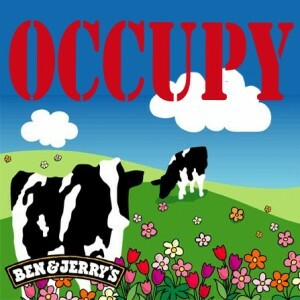 This is a great opportunity to deepen one’s understanding of the Occupy movement. Music by: Jefferson Airplane, Tin Bird Choir, Steely dan, Phoebe Snow, Laura Nyro, Procol Harum, Friendesha the Band, Elliot Smith, Frida, Beverly Fredericks and the Reclaiming Collective, David Rovics, Billie Holiday, Ani DiFranco & Utah Phillips, and The Doobie Brothers.